Some travel to eat. They associate each country with the dish that represents it, creating gastronomic tours to find the best of their favorite food or easily adding entire meal categories between the classic breakfast, lunch, and dinner while traveling. They munch their way through a country, learning the culture one plate at a time. For sure it can be both an effective and delicious way to learn a culture. Others dive further into the culture gap not only enjoying each bite, but taking steps to learn the history behind the food they eat. Why is a certain spice so used in one culture and so ignored in another? Searching for the true cuisine of the place, rather than assuming its the first thing on a menu. Some even take cooking classes to learn how to create each bite. Paris, Italy and Vietnam, cooking classes abound with travelers practicing the perfect crêpe, pizza or pad thai. 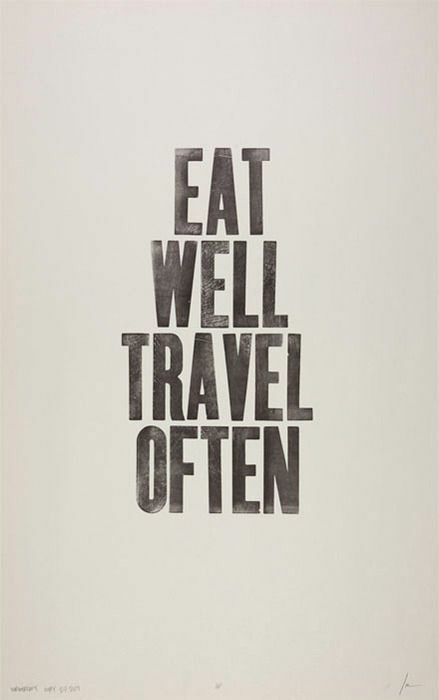 For me and many others, travel and eating have a relationship somewhere in the middle of the two. Though I’m more than happy to document my travels one pound at a time, I’ve never taken a cooking class while traveling and can admit that I’ve landed in certain destinations with little idea of the national cuisine. Still, the two can never be separated. I credit traveling for teaching me how to love and appreciate food. The start of my independent travels coincided with that of my general independence, forcing me to provide for myself. While studying abroad I began putting together meals on a daily basis for the first time. Matching spices with their complementary flavors and learning, sometimes the hard way, how long meat needs to cook. I shared with my roommates and, out of necessity, tried new recipes often. Back at school I relished my first apartment and the freedom it gave me, particularly in the kitchen. Instead of plasticky food from the dining halls, I decided for myself exactly what I would eat at every meal and exactly how and when I would eat it. My roommates bought macaroni and cheese. I made eggplant parmesan. Though living on my own was the original push that started my love of cooking, traveling was the cushion that caught me. Travel forced me to open up to different foods, except unlike all the years of parents telling me to just try it, this time I was willing. Like many previous travelers I was swept up in the excitement of each new thing and wasn’t about to be left behind by avoiding new tastes. I gave in to the adventurous feeling that comes with each new site, experience and, of course, food. Buffalo chili in Yellowstone, goat and fufu in Ghana, fried alligator in New Orleans. In South Korea I learned to appreciate spice and boiled cabbage and in Italy I fell back in love with carbs, bringing the once-maligned pastas and perfectly crusted breads back into my life with abandon. As I’ve said before in a similarly named post, living in Italy taught me how to eat. My knowledge of food grew – what to eat when, with what and how. It was a celebration and I felt like I finally knew the perfect wine to bring. More importantly though, living in Italy taught me how to cook. From my first night in my Florence apartment while studying abroad, to my first night living in Monza cooking for two, Italy was my vehicle. 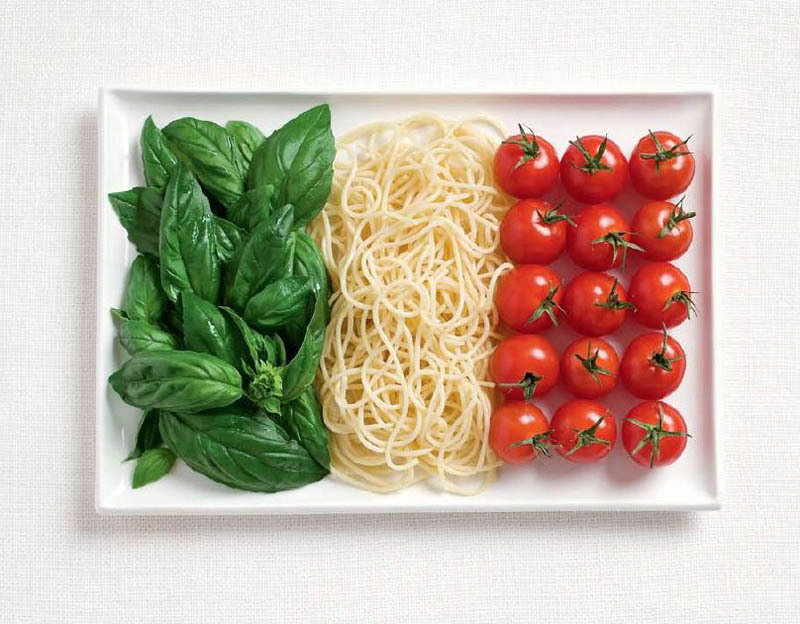 Though I don’t exclusively cook Italian food, its one way to put down roots and connect with others, to learn the history of Italy while I learn the Italian culture, the language and, of course, a new recipe. Without my time spent traveling throughout Italy, it would be much more difficult. They say food is a great equalizer, it can bring people together in the best of ways. Though you may claim to travel just to eat, or perhaps eating is just a happy side-effect of travel, I know that the two aren’t mutually exclusive. Opening up to a new cuisine means opening up to a new culture. If the only outcome of my travels is being able to make a great tiramisù or know the true taste of authentic ramen, I can’t complain. Behind that great tiramisù there are a lot of conversations in little trattorie and behind that great bowl of ramen there’s a language lesson, a chopstick lesson and a lesson in acceptance, love and adventure. What about you, how has travel changed your relationship with food? This entry was posted in Italy and tagged cooking, cuisine, culture, food, Italian food, Italy, travel, travel food. Bookmark the permalink. Thank you Lyn! It’s a theme I love going back to, as it’s constantly revolving. Not to mention, constantly delicious ;) Cheers!